I think there are a few things that could be added or explained better, but for the most part I think this is a pretty good article explaining Travel Agents and our trade. With all of the resources out there for travelers, it's not easy to know if you're getting the best information. You wonder if the recommendations online have been sent by hotel employees. You wonder how you can get the best price on an airline ticket without flying around the country to get it. You're confused. To clear things up, contact a travel agent! Now, you're wondering if you have to pay to consult with your local travel agent. The answer is no. 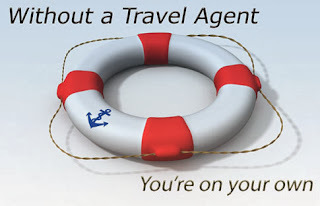 Travel agents are paid on commission by the travel companies, hotels, cruise line, and airlines they book with. So, agencies only get paid if you book with them, and they get paid anywhere between 5 and 15%. So, say you book a trip online. You spend hours researching the best companies for the eco-travel trip you've been dying to go on since you read The Swiss Family Robinson. You finally make a choice, you book, and pay. You would have paid the same price for the trip if your booked it through a travel agent. You see, the tour companies, hotels, airlines, and cruise line don't pass that percentage discount along to you for omitting the middle man. Furthermore, you've paid the same amount, and you've done all of the work. People tend to shy away from using a travel agency because they think they charge fees. And in some cases, travel agencies do charge nominal fees. For example, most travel agents these days charge a fee for airline tickets. Why? Well, the airlines, in an attempt to cut costs, cut their commissions to agents. The fact is that now, with ticket machines and other overhead involved in running tickets, it ends up costing agencies to run tickets. So, if you just need a flight to visit Aunt Bea in Hollywood, no car, no hotel, you will pay a nominal fee to book this with your travel agent (usually $20). However, this isn't a reason to shy away from using an agent to book your airline tickets. Travel agents have access to all of the available flights on all of the airlines. They can quickly check availability. They know what the cheapest cost per ticket is and they can tell you which days and seasons it is cheapest to fly. They can get you the best flight times, connections, and seats available. They can sell you insurance on the ticket and they can get you travel vouchers if you had a bad flight. You decide if this kind of expertise is worth 20 bucks. Travel agents have expertise and industry connections. Better yet are local travel agents who have gateway specific knowledge. For example, they know if an airline is running a deal out of a nearby airport. They know if there is a new airline in town. And they know if that new airline is likely to go out of business in a month. Let's look at a scenario. You want to go away somewhere warm and cheap. You don't care where. At the same time, a hotel company is trying to boost US travel to one of their beach front resorts. They will send a fax to all bona fide travel agencies specifying deals out of nearby airports. In fact, your local travel agent is most likely swimming in faxes like this sent by companies with you in mind. But travel agents don't need faxes to get deals for you. They have knowledge. Say you want to take a family reunion on a cruise ship with a country music theme. You can bet your travel agent knows which cruise will suit you. Or you want to stay in a castle in Ireland. You can find a travel agent who has sent people to castles in Ireland. There are many travel wholesale companies that only deal with travel agents. These big companies negotiate rates with the airlines and hotels and pass the savings along to travel agents. Hence, the travel providers discount prices to middlemen, who raise the prices and pay commission to travel agents, who offer their services free to consumers. Hence, the big travel companies and the small consumers both have independent experts working for them. Travel agencies are service providers. They want to have a relationship with you. Your happiness ensures their future profitability. So, if you experience a problem, most travel agents, the good ones, will advocate on your behalf. You had a bad flight? Tell your travel agent and leave the letter writing to someone else. Furthermore, travel agents have industry pull. If you, as an individual, travel once a year and you have a bad experience, no big hotel chain or airline cares about you. They care about their frequent travelers. So, if you stopped traveling, you wouldn't be missed. However, if a travel agent boycotts a hotel chain or an airline, you'd better believe they'd feel the pinch. Most good travel agents use word-of-mouth advertising. So, ask your friends who travel to recommend an agent. Then call and explain what you want. Most travel agents are eager to work with new clients, so don't work with an agent who is abrupt or who you get a bad feeling about. You need to trust your agent. Ask questions. Include information about your budget, your travel experience, and your flexibility. If you are very restricted with your travel plans, your bottom line will increase. Travel agents know all of the ins and outs, so take advantage of their expertise. Then do a comparison. 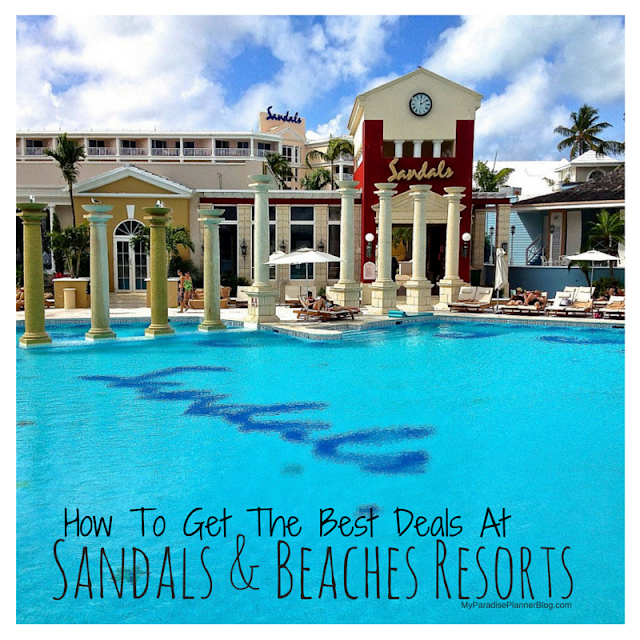 See if you can get a better deal online. Ask yourself if this is a time-intensive trip. Are you likely to encounter problems? If you would feel comfortable going it alone, and if you can get a better price elsewhere, go for it. There are some times when travel agents can't compete with the last minute deals airlines run. What Sort of Clients Do Travel Agents Dislike Working With? Travel agents dislike working with clients that try to haggle by saying, "I found a better price on the Internet." You may very well have found a better price on the Internet. But chances are that you are comparing apples and oranges. If you are booking a flight and you tell your travel agent you only want to fly non-stop, then that's the price your travel agent gave you. If you check online for the best price, chances are the best price is not on a non-stop flight. Travel agents dislike working with people who waste their time asking questions and seeking advice with no intention of ever traveling. By all means, use all of the resources you can to get the best prices you can get. Just remember that these people are busy with clients who travel. They aren't there to do free research, so don't waste their time. Article by J.A. Luongo from Why Use A Travel Agent?